The frantic rhythm of today’s life, when parents are busy with work and a thousand other things that they cannot devote enough time to their family anymore, makes keeping the family safe a challenge. Worse, a growing number of crimes make many parents worry about the safety of their children when they are not at home. If you are anxious about the well-being of your family, then you should absolutely start tracking your family with the aid of an app. It’s a never-ending battle between granting freedom to your loved ones and wanting them to always be in your line of sight. This is why tracking apps are essential when tracking your family’s whereabouts. We read news about the disappearance of people all over the world almost every day. 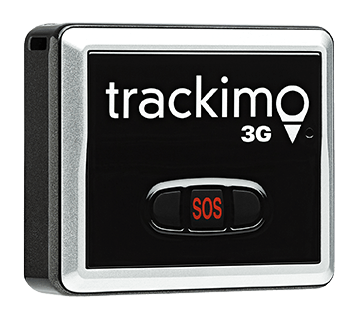 One of the best ways to be sure that your family members won’t end up missing is to use special mobile apps that have GPS modules to monitor your family’s location. This article focuses on several free mobile apps suitable for that very purpose: tracking your family. 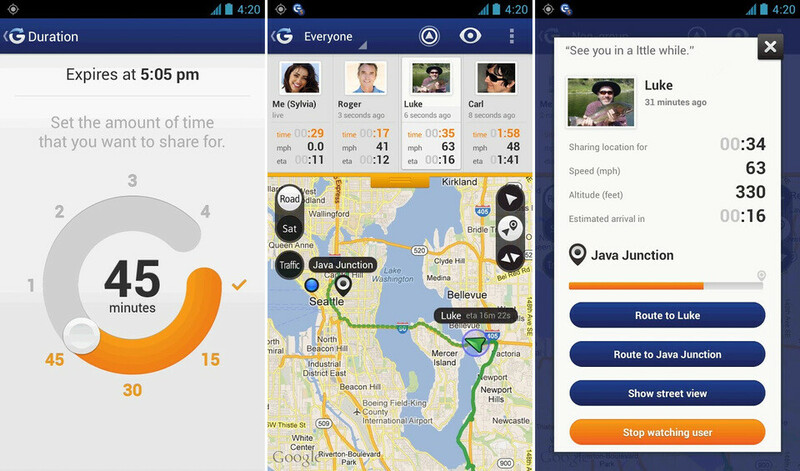 Glympse provides you with real-time location updates. To use this, simply open the Glympse app on your phone and tap on the three vertical lines on the top left and select Share Location > Add recipient(s). Tap on the back arrow to save changes. Sharing your location with someone is referred to as “sending a Glympse.” A Glympse goes out as a link via text message, email, or a series of other third-party apps or sites like Facebook, Twitter, or Whatsapp. When recipients click on the Glympse link, they can view your location on a map in real time using any web-enabled device for as long as you choose to share your location with them. Unlike other location-based services, there is no need to create an account or log in. Once downloaded, you can send a Glympse to anyone you choose by simply selecting a contact, choosing the duration you want your location to be available, and then tapping send. The nice thing about sharing your location via Glympse is that it is temporary. A Glympse automatically expires when its timer runs out, so you don’t have to worry about sharing your location when you do not want to. With Glympse, you are in complete control with who you want to see your location and for how long they see it. 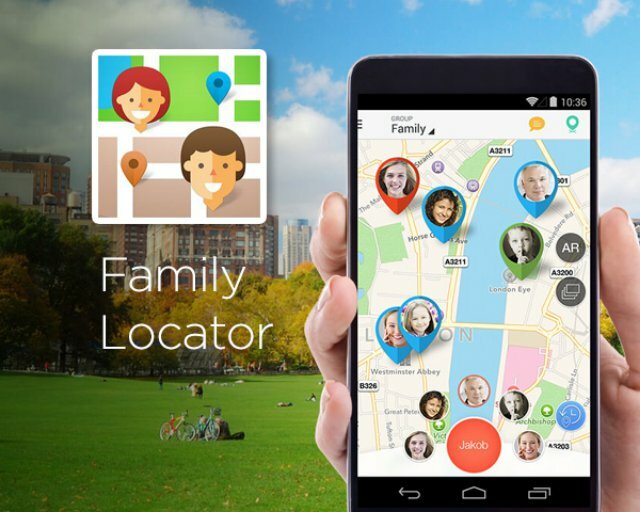 This simple and accessible mobile app helps parents know the location of another phone via GPS. The service allows tracking your family members in real time and informs you about the battery percentage of their smartphones. In the app, you can set safe zones to get a notification in case the child exits them. There are many other options for tweaking. You can set up it so that you get messages when the user reaches a certain point, which is useful, for example, if a child is heading to a known location like a gym or your relatives’ house. The Sygic Family Locator has a built-in messaging option between family members, which allows you to send messages for free over the internet. Also, a special SOS button allows the user to send the exact location in just one click—you never know when this might save your kid’s life. This app has most of the functions as the previous ones do. 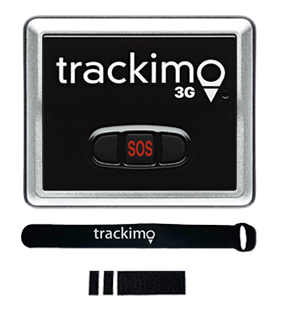 So it enables tracking your family members’ current locations with the help of GPS. It also has an alarm button and the option to notify about entering or exiting a set zone. Additionally, it can let you know about the nearest place to go to in the case of an emergency. That includes hospitals, police stations, and so on. Family Channel, a free group chat, is built into Life360, which can substitute a text messaging service. According to the developers, this is the only tracking app that works with regular phones, which allows you to learn the locations of even those family members who do not have fancy smartphones. However, this feature does not work in all countries. Instead of focusing solely on location services, ZoeMob also strives to be your assistant when it comes to family communication, organization, and planning. ZoeMob offers the same location services: real-time location monitoring and history. But what sets Zoemob apart is the additional feature that allows permissions for children (such as, “Is it cool if I play this game a little bit longer?”), a family calendar, and shared annotations. It even allows you to check details like whether your child (or their school bus driver) is going the speed limit. All the details might drive some teenagers insane, but the extra planning and organization features that help keep everyone in the loop may be worth it. 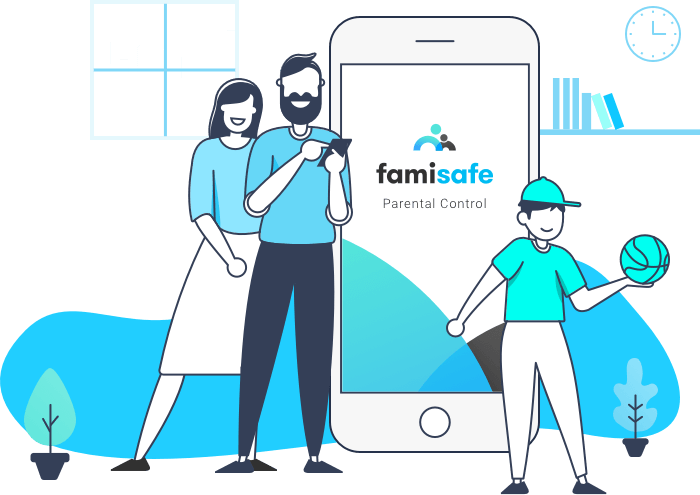 With Famisafe, quietly tracking your family without bothering them is possible. If you want to make sure your child made it to the morning dance practice without interrupting them, you can run a quick location check from either your phone or your home and office computer. Real-time interactive location tracking and geofencing enable you to view their location with street addresses and landmarks, as well as allow you to set a safe zone and provide a real-time notification when they leave and enter the geofence. It is absolutely wonderful to track and keep family members safe. This is password controlled, so only parents and caregivers can see the recipient’s locations. At the end of this review, it seems appropriate to consider the issue of an ethical side of such apps’ use when parental care can become totalitarian surveillance, like the one shown in the Black Mirror series. Well, it all depends on the parents, their children, and particular situations. These apps can be vital under some circumstances, and parents may do well with traditional means of control in most cases. Nevertheless, the use of such apps should be carried out by mutual consent and after a thoughtful conversation with all family members. 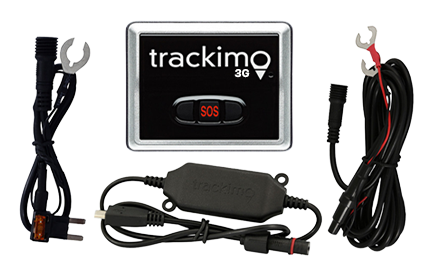 Or learn more about our Child Tracking GPS.